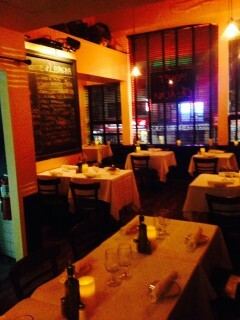 La Stanza is our group dining & private event space located just above House of Lasagna. It’s the perfect room for business meetings, special occasions or friends & family get togethers. Our standard event package includes a 3 course prix fixe dinner and 2 hours of beverages. However, beverages can be ordered a la carte, or a customized package can be created just for you. Total cost per person is $45.95 ($21.95 food + $24 beverage) + 8.75% tax + 17% gratuity. A food and beverage deposit of $200 is required; we will charge the minimum number of guests called in 24 hours before event. For a group of 25 or more people, you can hold a private event in La Stanza and have the room closed to the public. There is an additional, non-refundable $500 room charge to be paid in advance. © 2019 Copyright GrandCentralRestaurantGroup. Site development by BigCityInteractive.com.